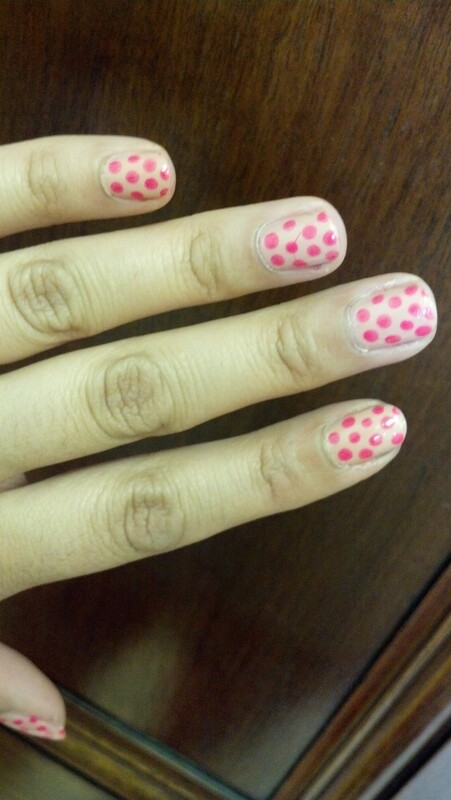 After two coats of your desired base color, dot on your neon polish using a dotting tool or tooth pick. 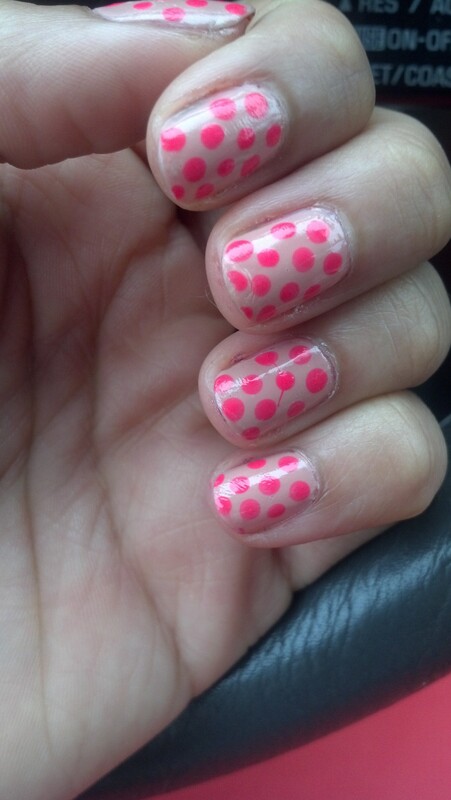 Most of the time, I start with dots at the base of my nail, then move up row by row. I start with two dots at the base of my nail, then the row above will have three dots placed on the in-between spaces of the previous row. I finished it off with a top coat of Orly Nail Defense. I started with two coats of marshmallow and then when that was dry just started painting lines with the yellow in various directions across my nails. 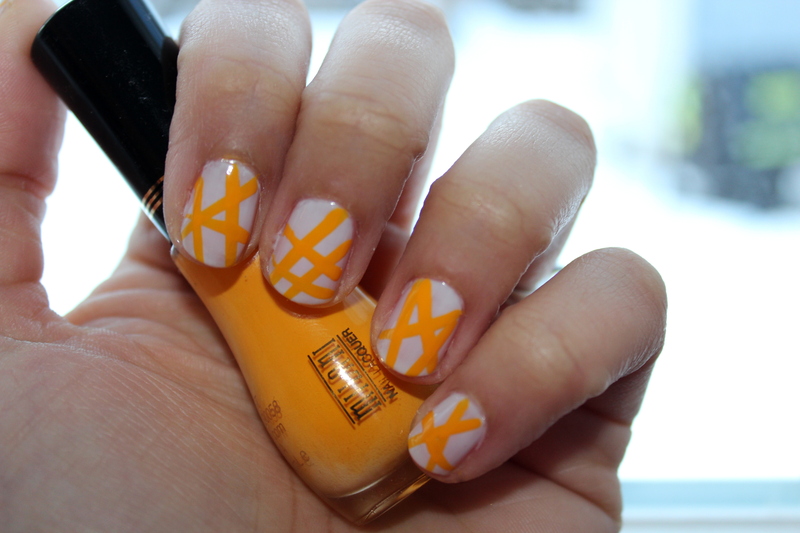 (this is the kind of nail design that will warrant a little bit of clean-up at the end. Just use a nail brush (or a small paintbrush from Michaels – that’s what I use), dip it in nail polish remover and run it it around the edges of your nail – anywhere you’ve gotten polish where it isn’t supposed to be! And there you have it! 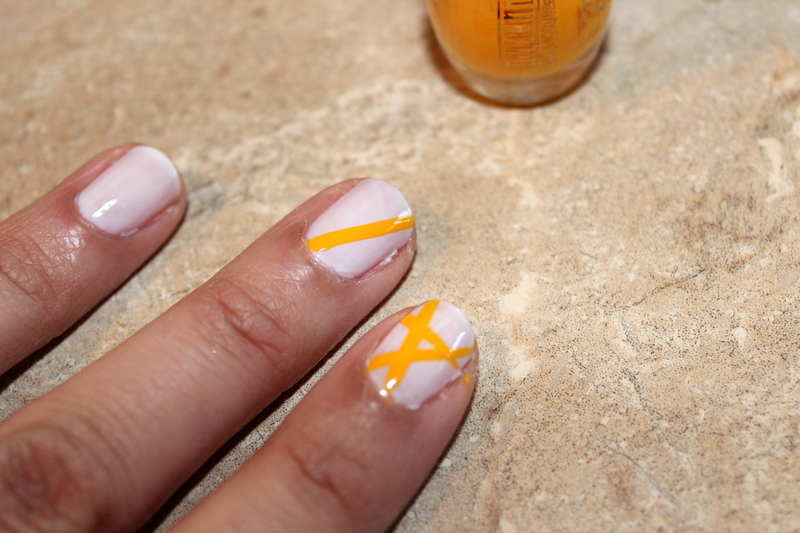 I’d love to see some other early spring-inspired nail art. Feel free to share! First is Glints of Glinda. A very light, very translucent peachy-pink shade. It’s pretty subtle but I really like it. I can see myself using it for a lot of nail art where I’ll need a good neutral base. It had a nice amount of shine and went on really smoothly – sometimes I worry about very translucent polishes drying really streaky, but I didn’t have that problem with this polish. Next is What Wizardry is this, which is a liquid sand polish. 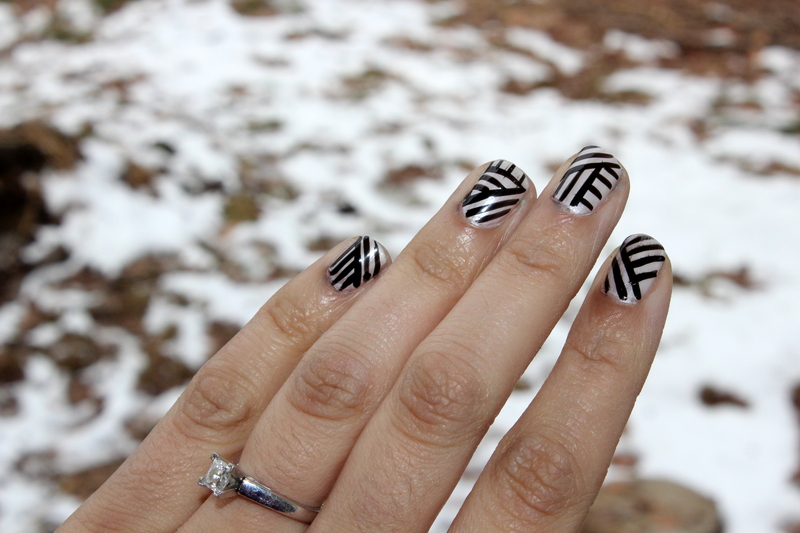 I was really excited to try it because I’m sure you all know by now that I love textured nails (see here, and here). 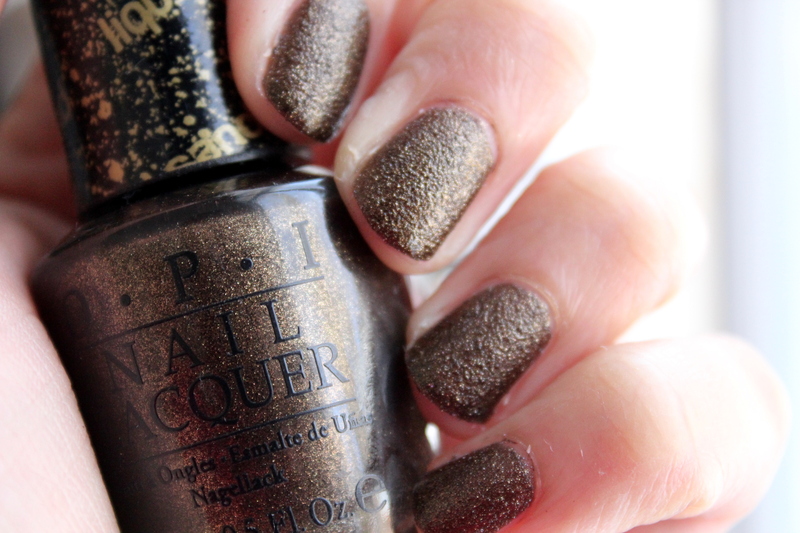 The color goes on nicely and dries matte (but stays sparkly because of the gold glitter in it). Once dry, you end up with a sandpaper-like finish. Kind of a cool concept. It’s also been pretty long-wearing, even without a topcoat so…10 extra points for that. Orly Pink Whisper – a very light pink. I don’t think they sell it anymore, but I just wanted something light and neutral. Milani Nail Art in Black Sketch for the lines. Once the base color was dry, I’d generally start with the lines by painting one diagonal line across the nail so that I had a starting point to work from. Then I’d continue to paint lines parallel to the first line above or below it. 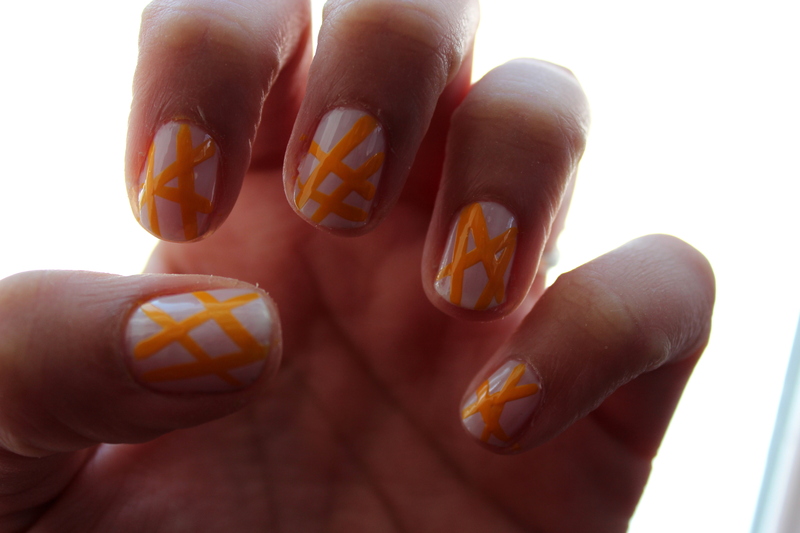 Next, I’d paint lines going perpendicular to the first line in the space on my nail opposite from where the parallel lines were. Sometimes I’d start lines going in a third direction. I tried to have each nail look a little bit different. Midweek Manicure // All Lit Up! 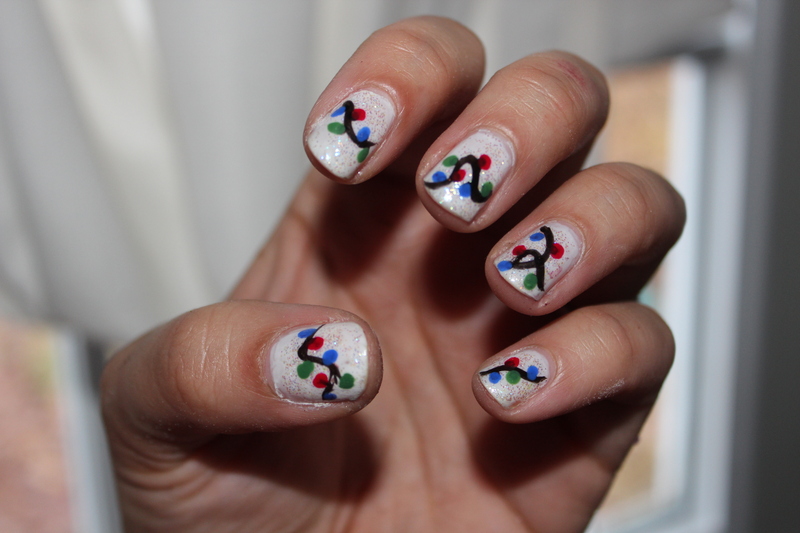 Totally festive today with these nails! And the count-down is on. Time to finish up all that Christmas shopping and cookie baking! Hi everyone! Happy Wednesday! 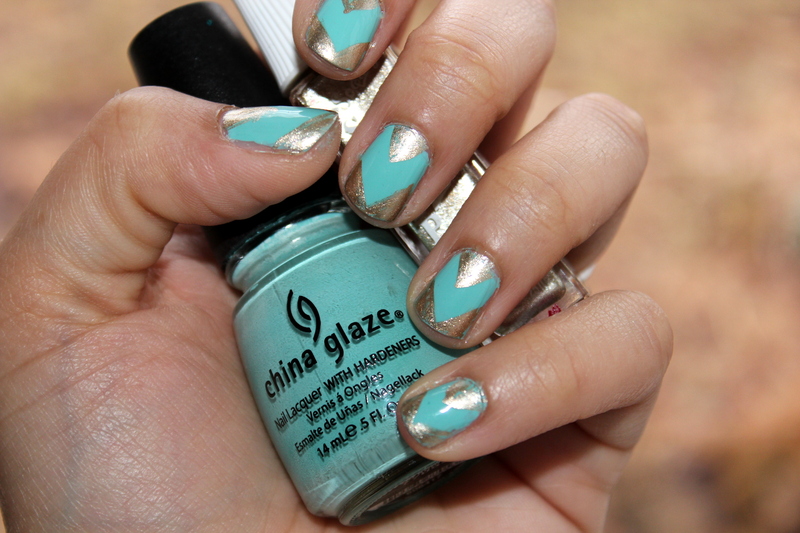 This week’s manicure was inspired by one I saw over at loveMaegan. Her blog is another one that I check often. I used Essie Limo Scene as a base color, and then lightly painted a few strokes of Essie Turquoise and Caicos at the tips to create the dip-dyed effect. I really like the color combo. 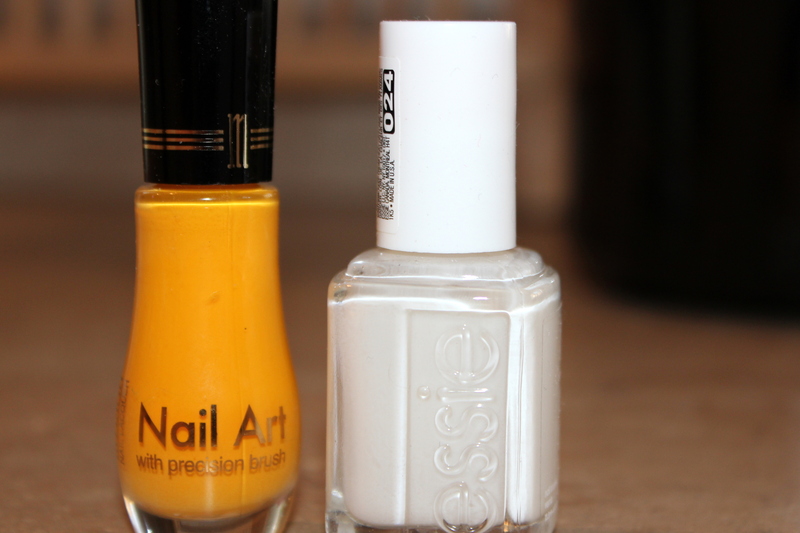 I used Essie No Chips Ahead for a top coat and have to say that I had a few problems with it – meaning I really don’t like it. Have any of you out there used it? Do you have problems, too?I find a few hours after I use it the polish starts to bubble (this has happened several times). Needless to say I’m done using it. Sorry for the bad review but it’s the truth! I guess I’ll have to find a different Essie topcoat and see if I like it any better. Two more days till Friday! Happy painting!